Following Lisa Wilkinson's shock resignation overnight from flagship Channel Nine show 'Today', her equally shocked co-host Karl Stefanovic has spoken about his "great friend." See video below. And Lisa's husband Peter FitzSimons has just spoken about his beloved wife, with whom he just celebrated 25 years of marriage, after having renewed vows recently, and coming back from their second honeymoon in Byron Bay. 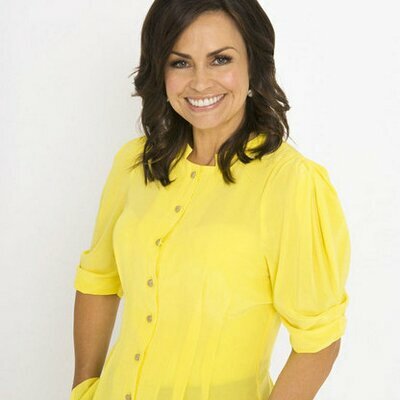 In radio reports this morning, Channel Nine was said to be "blindsided" by Lisa's decision to walk from the top rating breakfast TV show after contract renewal - and pay - negotiations broke down. In the meeting were said to be Lisa and her manager, and with reports emerging last night that the network could not match her pay to Karl's, she walked. Within less than an hour, Lisa was employed again... by the Ten network. And to the show 'The Project'. In this report, Lisa's husband FitzSimons has emerged from the family’s north shore home, telling reporters she was recovering after an “extraordinary day”. “She’s having a lovely sleep in after an extraordinary day, thank you. The best sleep in 10 years,” FitzSimons said. “For 10 years, Lisa has dragged herself out of bed at 3:30 in the morning, fed the dogs and cats, put a load of washing on and came into work to inform you of what was happening in the world,” he said this morning. “So for now this, thank you. Thank you for the laughs, the sage advice, the calmness, oh, the calmness. And thank you for all of your support. Thank you for being a great colleague. Thanks for being a great interviewer. Thanks for being a great dancer and a truly, truly terrible singer. Thanks for being a great mum. I know you value that more than anything else and thank you for being a great friend.